Scientific polls are expensive. So it’s baffling that ABC News and the Washington Post blew a considerable pile of cash this week on a poll that found, ahem, that nearly half of all Americans have no confidence “at all” in our clueless leader, president* Trump. No confidence “AT ALL.” None. Zilch. Nada. This was hardly jaw-dropping news, since Trump continues to set new standards for gaffes and general idiocy. Most thinking people — and even non-thinking people — agree by now that Trump knows very little about pretty much everything. 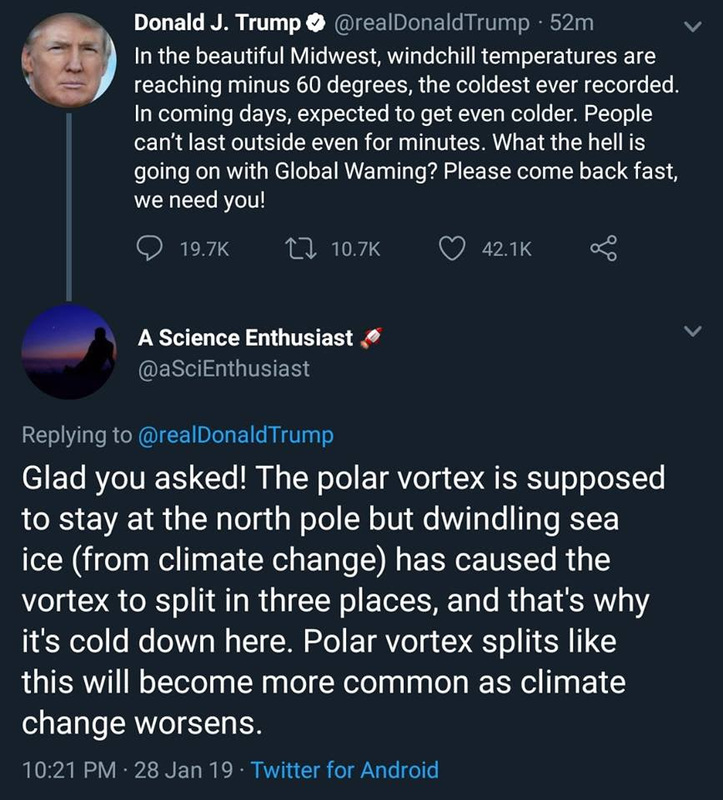 This includes Climate Change, a topic he tried to get snarky about this week in a Tweet as much of the nation struggled with record low temperatures. And he got schooled for it. Politics can be so cold. Meanwhile, Trump vilified his intel chiefs, calling them “passive and naive” after they contradicted him on Iran, national security and his broad claims of foreign policy success. He said that he has chosen, instead, to seek advice from his son-in-law, Jared Kushner, and from his elder children, Ivanka, Eric, and Donald Jr. “You won’t find a trace of intelligence in anything they say,” he boasted. –North Korea is not moving toward complete denuclearization. –Iran is not in violation of the Iran deal. –Russia interfered in our election. 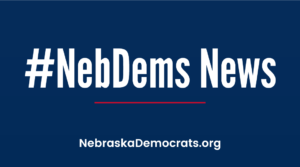 –Climate change is real and a national security threat. –The border wall is not a national security necessity. 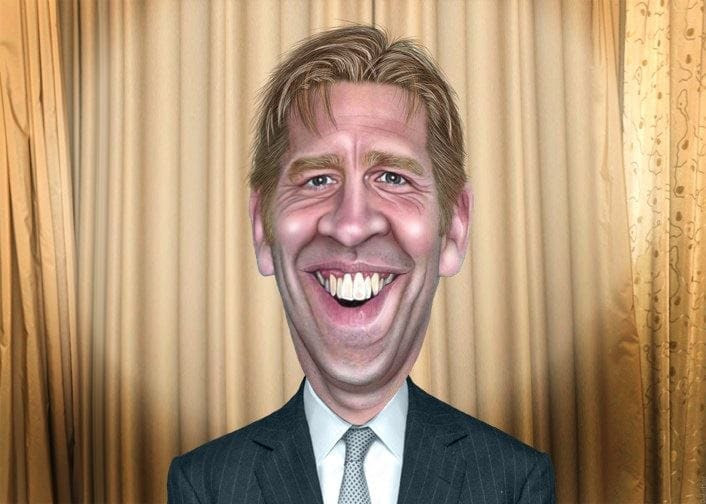 Back in Nebraska — check that — back in California, the Washington Post’s James Hohmann noted that Nebraska’s own Ben Sasse spent the weekend getting his marching orders from the Koch Brothers at one of their retreats on the West Coast. We’re assuming he was also there for his annual performance review. 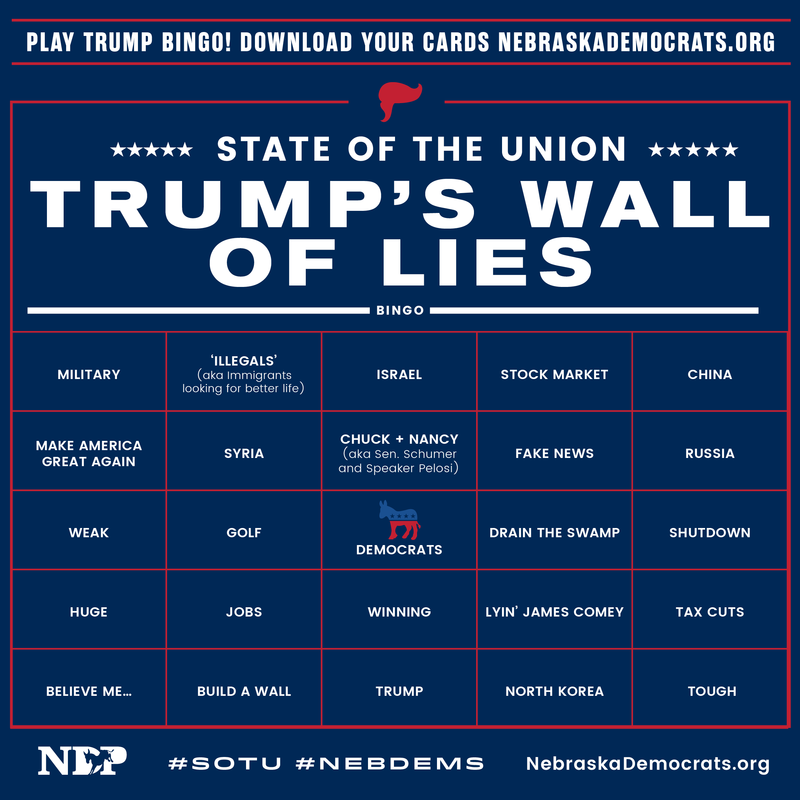 Don’t forget to play NDP Trump Bingo during Tuesday’s State of the Union Address. You can download and print your bingo cards here. We’re excited that Former Georgia gubernatorial candidate Stacey Abrams will give the Democratic response to the State of the Union Address. We end noting that White House Spokeswoman Sarah “Serial Liar” Huckabee Sanders had the laughable temerity to declare Wednesday that God wanted Trump to become president. Not even an atheist could believe that.